Allows importing the selected project contents in IDF standard from any mechanical CAD/CAE system to EDWinXP. To invoke this option, select IDF Import 3D view from Tools menu in Fabrication manager. A 3D Board control dialog box pops up. 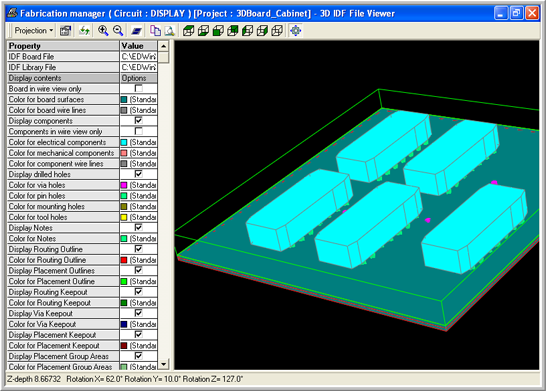 Here IDB and IDL files are specified and 3D view of the board will be available.